We record here the lives of people who have made a difference to the history of Hallow. Churchwarden at Grimley, Campanologist at Grimley and Hallow, Parish Councillor, Civil Defence Volunteer and former Secretary of Hallow British Legion who died on May 26th 2017 aged 94. Phil was born on April 14th 1923 to parents Lillian and Albert and spent his early childhood in St. John’s coming to our Benefice in the late 1930s to Pound Farm and then to The Cottage in Sinton Green where his parents would live for the rest of their lives. The family origins were in Sinton Green where his Great Grandfather and his Grandfather had been Blacksmiths. Their Blacksmith business can be traced back to the 1700s. In WW2, he became part of the Allied Special Forces (the equivalent of today’s SAS and known then as the Chindits) – a unit that operated behind enemy lines in North Burma which they reached by glider and pack mule. Lionel was appointed headmaster of Hallow Primary School in 1968, a position he held for 18 years until his retirement in 1986 at the age of 60. He was born in Glasgow to his Scottish mother Chrissie with whom he soon travelled to Africa to join his father, who worked as Postmaster in Kenya. To read more about his life, click here. Soldier, Private Reginald Hunt died of his wounds in a Birmingham Hospital on 6th November 1918, just five days before the end of the War. His remains are buried in the north east area of Hallow churchyard. Reginald was the eldest of three brothers who served in World War I. Note from researcher – when I began writing this article I was unaware that the Hunt family were ancestors of the editor of our Parish Magazine, Anne Stark, and that Harold was her grandfather. She has kindly provided more recent history of her family, together with postcards sent by Reginald by his mother, Olive in WWI - click here to view. In the grounds of St. Philip and St. James Church, Hallow are the remains of William Kilbourne Kay whose casket of ashes were interred alongside the grave of his beloved grandson. William was the founder of Kay & Co. Ltd., a company formed in Worcester that began trading 10th May 1889. To read more about William, click here. One of Hallow’s most interesting vicars has to be Herbert George Pepys. Born 31st October 1830 at Westmill, Hertfordshire, he was the son of Henry Pepys, a descendent of Samuel Pepys the diarist who became Bishop of Worcester in 1841. To read about Rev. Pepys, click here. An article was written and published in the Parish Magazine of July 1980 about Fred's retirement as Church Warden. Fred was training to be a pharmacist when his training was interrupted by WWII, when he joined the Royal Army Medical Corps and served in the Middle East, France, Belgium and Germany. After the war he completed his training, but then took up a career in teaching, initially in the West Riding of Yorkshire. He came to Hallow after his marriage in the late 1940's and taught at Hallow School for over 14 years. As well as being a Church Warden, Fred was a Parish Councillor, and was on the Playing Field Committee. To read the full article, click here. A picture of life in Hallow and Worcester 100 years ago is revealed through a diary kept by Mrs. Henry Stevenson, whose husband was Rector of Grimley with Hallow from 1845 to 1853. She was formerly named Mary Bland, born 1808, daughter of a Newark solicitor who had been Mayor of his town. Husband Henry was an Honorary Canon of Worcester Cathedral, and examining chaplain to Bishop Pepys, and on his mother’s side of the family he was a first cousin of Sir Robert Peel, Prime Minister (1834/5 and 1841-1846). Mary began keeping her diary in 1850 after 22 years of marriage, and continued until 1892, by which time her entries had become brief and few. Charles Wheeley Lea, born in 1827, was the son of John Wheeley Lea who along with William Perrins founded Lea and Perrins, Worcestershire sauce. Charles had four brothers and a sister, three brothers emigrated and one died in infancy and he was the only son to join the business. 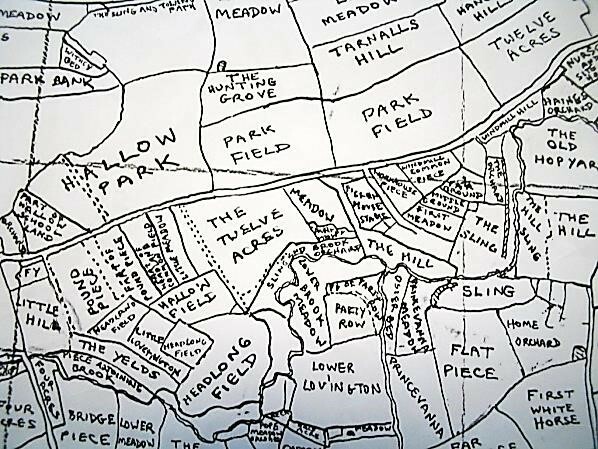 In 1866 he purchased the two fields named Parkfield bordering the main road from Worcester to Hallow and began building his mansion. In January 1867, at the age of 40, Charles married Amy Mary Jacomb. She was 33 and a daughter of a Yorkshire solicitor. The property, his only substantial country house, was designed by W. J. Hopkins. It had huge bay windows, a massive entrance tower and banded roofs. 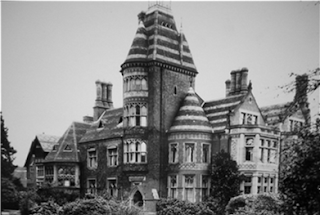 Of Hopkins’s work there survives the long brick wall to the road, the south lodge with timbered gables, pierced bargeboards, fish-scale roofs and typically chunky gate-piers. The mansion house took almost two years to build. The interior was extremely opulent and ornate, on a magnificent scale typical of the Victorians. Most of the wood carving, marble and stone work was carried out by William Forsythe, a Scotsman who with his brother James worked on many ecclesiastical projects all over England. Locally they crafted the font in Hallow church, the beautiful granite pulpit in Worcester Cathedral, many memorials in churches across the county, including John Wheeley Lea’s tomb at Powick, and in 1860 James’ most prestigious work, the Perseus and Andromeda fountains at Witley Court. The house was finished in 1868 and Charles and Amy settled in with up to 14 servants at any one time. Ten years later they built properties for their staff, two black and white cottages, again designed by Hopkins, on the main road opposite. They purchased, what was then Workhouse Lane, and built a bailiff’s house within a walled nursery where their produce was grown, a laundry on the site of the demolished workhouse and three other cottages adjacent. Workhouse Lane was then renamed Parkfield Lane. Charles like his father before him, was a generous benefactor to many organisations and projects within the County. Worcester Royal Infirmary depended heavily on his many donations and a bequest of £10,000 so enhanced the Infirmary’s finances that a ward was named the Wheeley Lea Ward in his memory. He was interested in education especially science; and constantly assisted the Worcester Public Library and Victoria Institute contributing over £4,000 to the building of the latter. His generosity was recognised by his name being given to one of the art galleries. He died at Parkfield in 1898 and was interred in the family tomb at Powick. Amy Mary Wheeley Lea became a widow at the age of 64. Charles left £100,100,136 and after family bequests Amy, now a very wealthy widow spent the rest of her life carefully considering how to put this huge amount of money to good use. She considered carefully what would be of real permanent service, she wanted to leave a legacy that would be of benefit to many and often took positive steps to conceal her generous donations. As a memorial to her husband, Amy paid for the erection of the spire to Hallow Church. 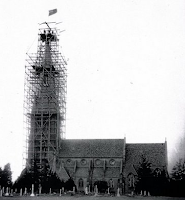 The 150 foot tall spire was added complete with a peal of eight bells and a clock with three dials and chimes. This had been included in the original design by the architect Mr. Hopkins, but due to lack of funds it did not go ahead when the church was built in 1869. The tower had been added in 1879, the cost of £2,800 being borne by Mrs. Lord widow of Hallow Park, Charles Lea and the Earl of Dudley. She continued to be a great benefactor to the Royal Albert Orphanage following Charles bequest of £10,000 in his will. She refurbished Church House on The Cross in Worcester for the Diocese; she helped financially with the building of the Girls’ Friendly Society Lodge and donated to many church schools in Worcester, to Worcester Girls’ School and the Alice Ottley girls’ school. In the early 1900s she bought the old Plough Inn and cottages to the North of Hallow Green and rebuilt the properties we see today. Hallow Green House, now called Lea Cottage was built as a residence for the nurse and for a Parish Meeting room. The two reception rooms had large sliding doors which could be drawn back to accommodate meetings. She then bought and demolished the Malthouse replacing it with Barley Mow Cottages. 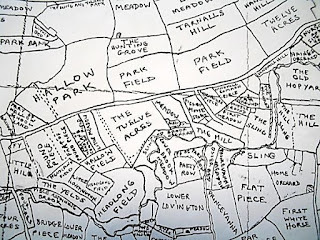 In 1914 Amy acquired Hallow Park from Lord Beauchamp and completely rebuilt it. Her interest in and generosity to the hospital and City and County Nursing Association culminated in her buying Southbank and offering it as a nursing home. Amy died peacefully on Christmas Day at her home in London at the age of 82. She left strict instructions that her funeral was to be the simplest possible and that no-one be present except her immediate relatives and friends. She did not want to be placed in the family tomb at Powick but in her beloved Hallow Church yard. Several of her staff acted as pall bearers. Her grave can be seen to the right of the South door. Amy had built up a large empire and in her will she left various bequests to family, servants and charities. 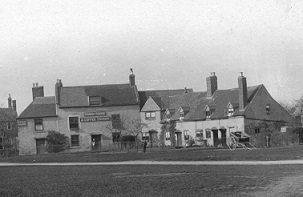 Property in Claines she left to her brother; to her nephew property in Broadheath, to include Eastbury Manor and farm. She made the Bishop, the Rev. Huyshe Wolcott Yeatman Biggs the sole executor giving him the power to use his discretion in disposing of the residue of over £360,000, 130 acres of land and Parkfield House together with most of her Hallow properties, apart from Hallow Mount, which she bequeathed to her solicitor Arthur Lord. By the end of 1917 the Bishop had sold almost everything, serving notices to many of the tenants to quit. Properties that weren’t sold – and Parkfield House was one of them - he rented out. 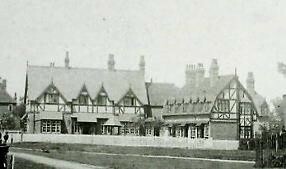 He renamed the house Bohun Court, which on its demolition in 1932, when the house had fallen into disrepair, the local newspaper wrote ‘mercifully the change of name had hidden the identity of a truly remarkable piece of Victorian Architecture.’ A couple of years later the present Parkfield House was built. Alice celebrated her 100th birthday on 1st January 1980, with the bells of Hallow Church ringing in her honour. To read about her life, click here. In December 2016, Neville Wilde contacted us initially to provide more information about his grandfather's service in WWI, which can be read on our WWI page (Service Personnel from the Hallow area). He was also able to provide additional details about his family which are of great interest, and can be read here. Horace was a well-known character who until his retirement in 1975, ran a successful timber yard, Moseley Sawmills. Ethel was born at 1, Greenhill Cottages and moved with her young family in the 1950s to Heath Close which had just been built by the local authority. She remained in the same house for the rest of her days. Ethel’s recollections have been given to us by her daughter in law Doreen who also began her married life at 1, Greenhill Cottages and now lives in Sinton Green. Her husband David (Ethel’s only son) died in August 2017. To read Ethel’s recollections, click here. Memories of Zillah Dimmock, nee Short. I believe it was May 1980. I attended Hallow Church and my name was pulled out along with another girl (I think her name was Penny) to be May Queen Attendants. (Zillah is the smallest attendant) It was a great honour and very exciting as we had our dresses handmade (white with small blue flowers). On the day we were given a gift, a gold cross necklace. I still have mine although the chain was broken a long time ago. We sat on a decorated float and watched the Morris dancers and Maypole dancing on the green (where the seesaw is) which I found very entertaining. We also had a parade where we followed the May Queen and I helped to hold the May Queen's train. We ate sandwiches and party food at the Parish Hall. I sat with the other Attendant girls on the stage to eat my food. It was a lovely day and I really enjoyed being a May Queen Attendant.